2 Beds 2 Baths 1,431 Sq. ft. 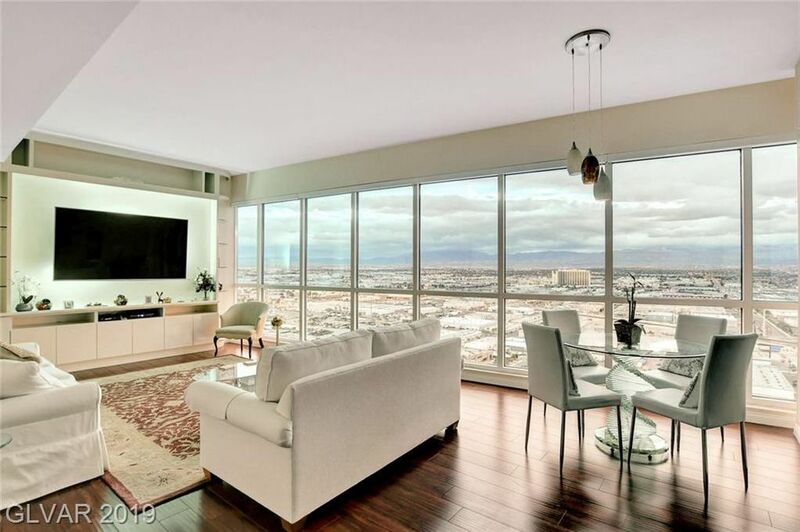 This Pristine 28th Floor Luxury Condo is Truly One of Panorama's Finest. Professionally designed & fully furnished, this highly sought-after floor plan features an open-concept social living space with upgraded hard wood floors, electric shaes, custom built-in storage in entry + luxe custom entertainment system. HUGE west-facing views of the city, Red Rock & Mt. Charleston Mountain Range from all living areas, including both bedrooms. MUST SEE! !